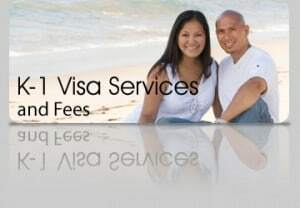 The Law Offices of Jeffrey C. Pettys provides only comprehensive full service for our Marriage Visa clients. Our office takes great care with every application and offers our clients unlimited access and legal consultation during the application process. This attention and care will greatly improve your chances that your Immigration Petition and visa will be issued without any unnecessary delay or problems. Our office will prepare all required forms for filing with the United States Center for Immigration Services (USCIS) and carefully review every supporting document to insure that every requirement and rule is met. After USCIS approves the initial application, our office will prepare all the required forms and applications required by the National Visa Center. Should an unexpected problem arise, our legal experience will resolve it. Lastly, our office will provide valuable personal consultation to your spouse to help prepare for his or her Embassy interview. You will be fully represented from the moment you hire us until you receive your visa from the US Embassy! Call or email the Law Offices of Jeffrey C. Pettys today to speak with Attorney Jeffrey C. Pettys. Initial consultations are always free and general questions pertaining to your immigration matter are always welcome! All required governmental filing fees are additional to the Attorney Rate or Attorney Service Fee listed above, and are to be paid separately by client.